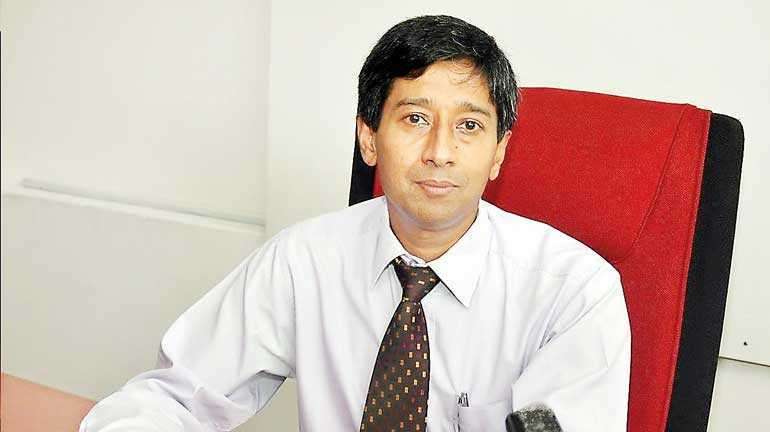 Dr. Padeniya refers to an act of betrayal of a country. On the other hand, a traitor is a general term used to describe an individual who betrays not only his country. The betrayal can be of one’s group, of another person, or even a principle or cause. When Brutus turned on his friend Julius Caesar, he became a famous example of a traitor. Treason is the related legal crime that such behaviour represents. The term traitor can thus represent different scenarios. In early childhood we are supposed to have a betrayal disposition in the Oedipus complex. As a matter of fact, you and I and even Padeniya has embedded in us some proclivity to betray in some context. The motivations can be money, ego or ideology and throughout our lives we suffer from such internal tension. As a schoolboy we may betray another schoolboy in order to gain the good books of the Principal or teacher. As a politically participating adult there have been incidents where individuals have betrayed their party either because they feel they have been ignored and their self-esteem thus injured. Sri Lanka’s own political history is replete with such betrayals. Often the ego factor is boosted by a money offer or the offer of a portfolio. These and others form a myriad of scenarios that reflect the act of betrayal and treachery. Thus the betrayal of one’s country seems to be an extension of an instinctual tendency. In ordinary chatting, we name someone a traitor if his actions can be tantamount to a betrayal of a group, another person, country, ideology or cause. The assumption is that he is pre-committed to such a group or country or cause and now he goes and betrays. Army personal giving intelligence to the enemy is a plain act of treachery. A pre-committed socialist espousing liberal capitalism ideology is another. In such instances, we judge the actions of a member of the group or cause from the perspective of the goals of such group or cause. The adjective ‘traitor,’ in all such instances follow consequentially from the definition of goals and aims of the group, country or cause. It is not that there aren’t possible complications of interpretation with regard to violations in all the above examples. One can cite many, for instance, of alleged treachery to a country by a citizen, or ideology by a proponent. As an illustration, in the kinds of concerns the GMOA is known to have with regard to Government policy, international trade agreements take foremost priority. GMOA may believe only a traitor can support trade agreements. On the other hand, a proponent of trade agreements may genuinely believe in the long-term benefits that flow to the country from such agreements. Economists themselves can disagree among each other. The question is, are these alleged acts of terrorism actually so? Certainly no. On the other hand, what the doctor wants us to believe is that the science of psychiatry has devised ways of recognising a terrorist by examining the alleged offender’s mindset or mind process. The alleged act of being a traitor here is not by the comparing consequences of action along with the assumed or explicitly stated definition of a traitor. Padeniya believes that one can delve into a person’s mind and figure out traces of being a potential traitor and determine the quantum and strength of such traces. He means to be able to identify the psychic tendency for a person to betray. It would be a wonderfully useful tool for all of us because theoretically you and I can then decide whom to trust and whom not to trust. This is wonderful news for authoritarian rulers like Turkey’s Erdogan, Cambodia’s Hun Sen and to the “dear leader,” North Korea’s Kim Jong. If Sri Lanka, too, is going to have such a strongman in the personality of Gotabaya as wished for by the Malwatte Upa Nayake monk, then this Padeniya point scheme would ensure that the right traitor will be picked and taken away in the night in a white van well before any damage could be done to “the country”. Looking back to some decades, Sri Lankans still mourn the liquidation of Richard Soyza. The simple reason is that Richard wasn’t a traitor. He was an eminently cultured and talented persona and an independent thinker who wrote for human rights. The same with the more recent case of Lasantha Wickrematunge, Editor of The Sunday Leader, who merely exercised the media right of exposure of ministerial fraud in the public interest. Richard and Lasantha were perfect Sri Lankans who loved their country, as you or I do. Marlene Behrmann, a professor of cognitive neuroscience at Carnegie Mellon University, agrees that “despite decades and decades of research we still have only a rudimentary understanding about brain function”. Scientists know a great deal about other organs like the liver and kidney; of the working of the brain and functioning of the mind, very little. The human is an intrinsically selfish species and the offer of money and position can move us stealthily to the other side. Sri Lankans have had an abandon number of example of political treachery. Now, my question is could not Dr. Padeniya’s point scheme get conflated with these natural human instincts? In such event what usefulness would the point scheme have? Yes, we are all excited, doctor.